Most of you know of Herman Bergson as the philosophy professor about whom I have written many times. He has taught a weekly two-session class in Second Life at his classroom in Wainscot for over four years. Philosophy is his first love and and life long hobby. 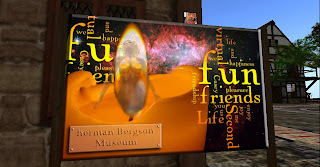 In real life, Herman was a graphics arts teacher for years, and has taken that art to new realms in SL. If you read the article about Mistyowl’s Petit Galerie and went there, you saw some of his art. After the love of Philosophy, Herman’s love is for the Women of Second Life, especially the beautiful ones. There is proof of this at his own museum in Nederlands. You will find a notecard that will tell you more about his work. In both museums you can experience how he has incorporated his thoughts and yearnings into each photograph that he has taken. You can study his thoughts and try to interpret what is going on in his mind as he incorporates himself into the story of the view. Sometimes he is watching himself watching, and sometimes he is perhaps dreaming of the past, present, or future of the story depicted. It is hard to tell but fun to contemplate. He has met and known many SL women, as you will see. When you visit the Nederlands Museum, and after you have perused the many photographs, be sure to take a walk over to his build that is an exquisite replica of a real-life church. Spend sometime inside looking at the hundreds of textures which are all pictures that he took himself and then placed carefully into his build. 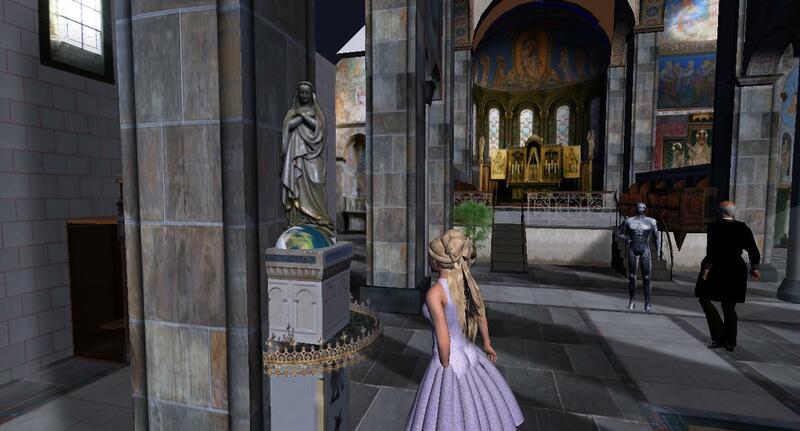 This church is part of an extensive group of buildings that used to stand in SL. He is multi talented as you can see as a creative master builder and photographer and knows how to use his photography to create art that all can enjoy. ROBLOX is powered by an ever growing player base of more than 300,000 creators who provide an infinite variety of highly immersive experiences. These experiences range from 3D multi-player games and contests, to interactive adventures where friends can take on new avatars to discover what it would be like to be a dinosaur, a miner in a quarry or an astronaut out in space.